The summer holiday proved to be very sort after weekend away with all spaces filled a few days before leaving. That meant there was 40 girls booked in and ready to have copious amounts of fun. Great weather, great roads, great friends = great weekend. With 4 of the girls celebrating their 50th Birthday in the last month, and all these things had been planned – it was obviously going to be another huge weekend. 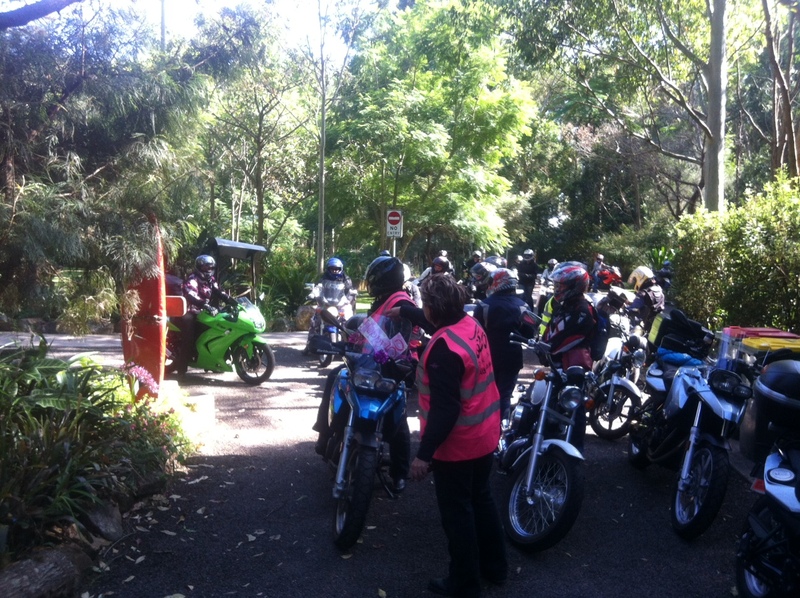 We meet the first group at the service station at Berowra – 29 very excited BikieChics ready to get rolling. 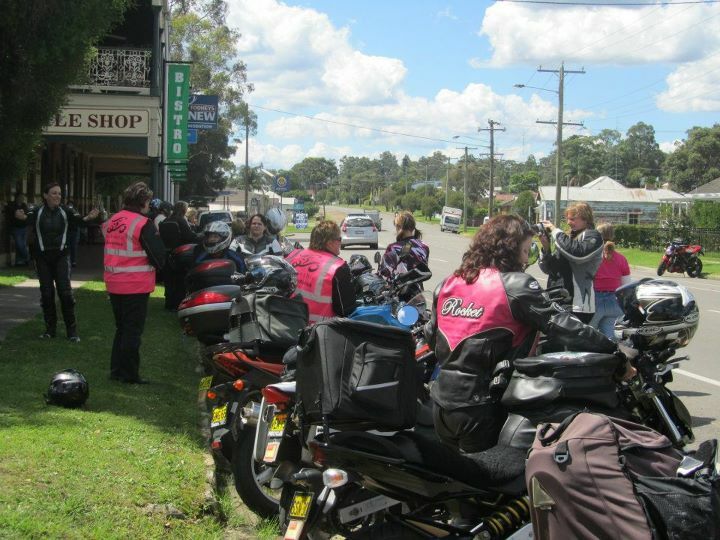 After a quick rider briefing – we hit the road and made our way up to Jerrys at Kulnura for morning tea and hook up with the other BikieChics (group 2). Selena got to lead the group and even managed to get everyone there without getting lost!!!! 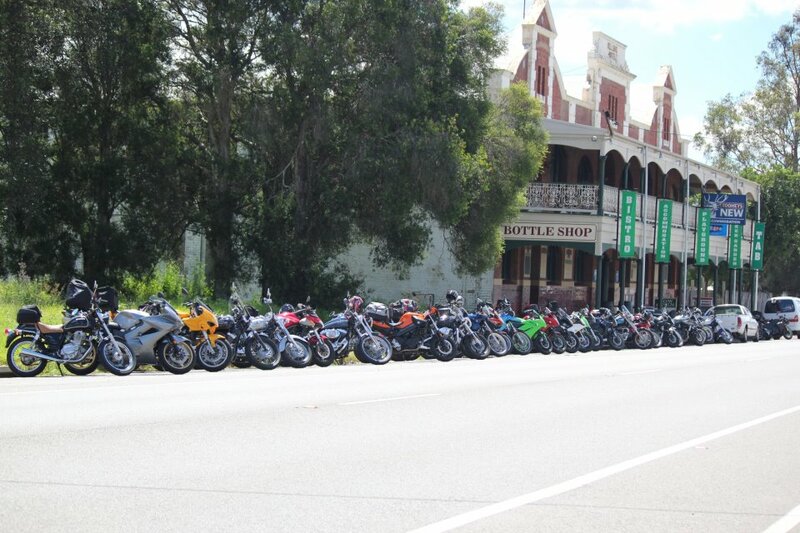 We left Kulnura for the next meeting spot which the final group of BikieChics were waiting at. Lunch at the lovely Bellbird Hotel was very relaxing and warm. Upon return to the bikes – the birthday girls soon discovered that their bikes had been decorated with streamers and 50 birthday banners. 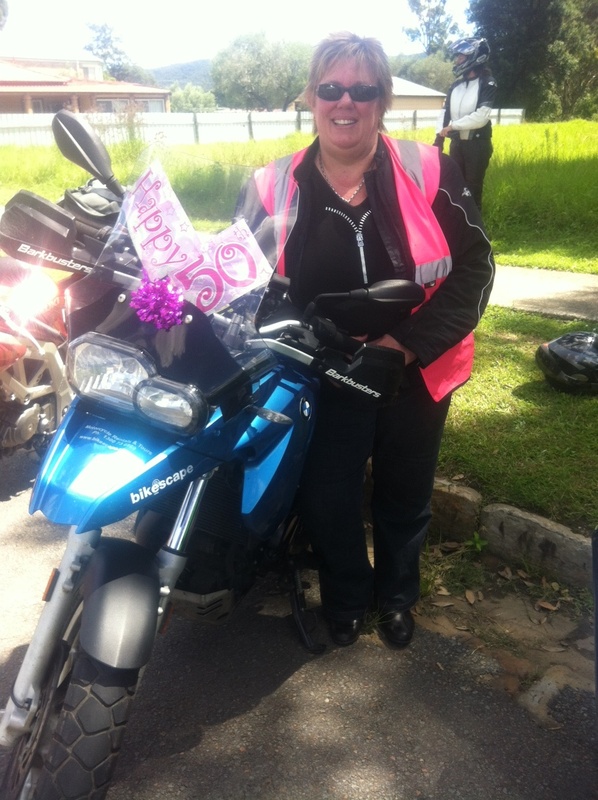 Unfortunately we had a small engine problem with Linda’s new BMW – which required her bike to be towed home. However, we moved on towards our accommodation for the night, O’Carrolyns at One Mile Beach after a little stop off for the grog. The resort that Diane had booked was great! A few of the girls hit the beach and others to the pool! We pretty much had the run of the place with the huge pergola area setup for party central, party balloons and posters – it was a fabulous! After pizza and wine, lots of laughs and stories, embarrassing pressies and more drinks!! – it was time to hit the sack ready for our ride home the next day! Again the sun god blessed us with beautiful riding temperatures and conditions. We split up into smaller groups and headed home – it was a shame it all had to end and we had to go back to work on Monday. Thanks girls for joining us on another fabulous BikieChic Adventure! Xmas In July has been booked and we hope to see you all there again!! 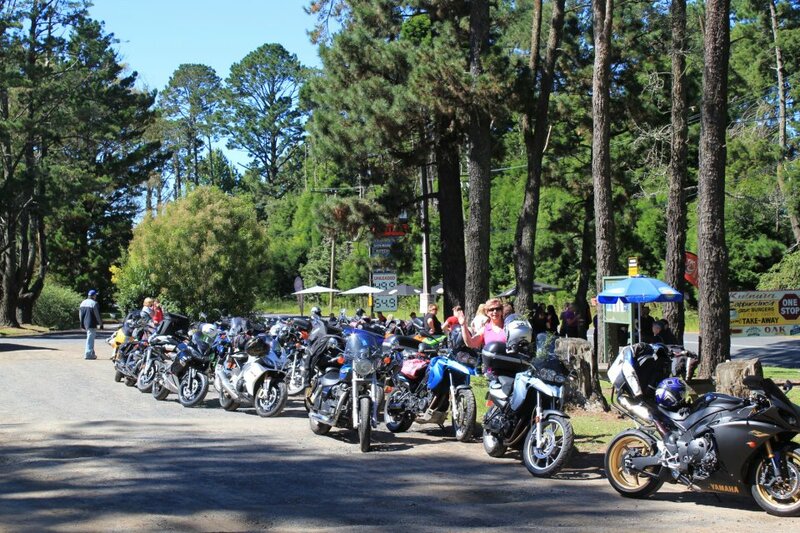 Until next time – ride safe and often.